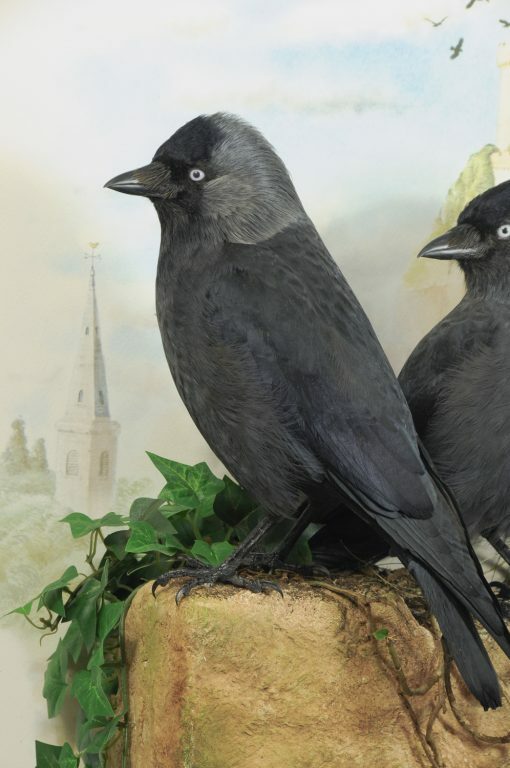 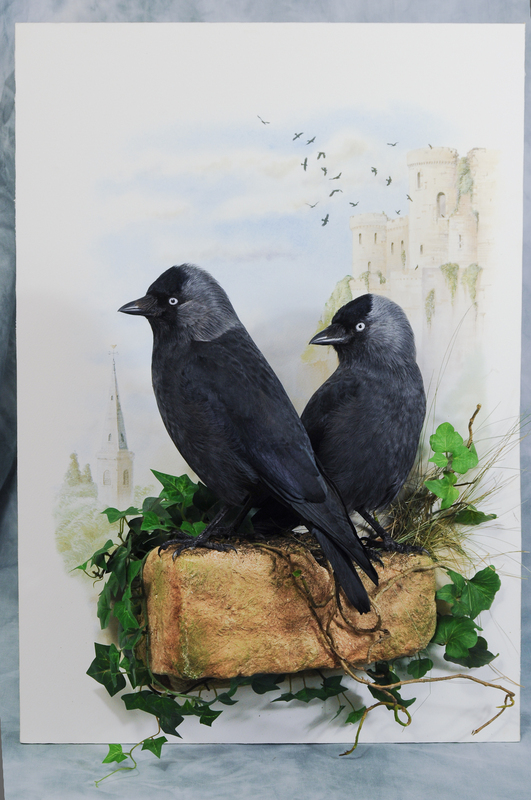 This is a pair of Jackdaws I did as may version of the famous Gould Hand Coloured prints of the Jackdaw. 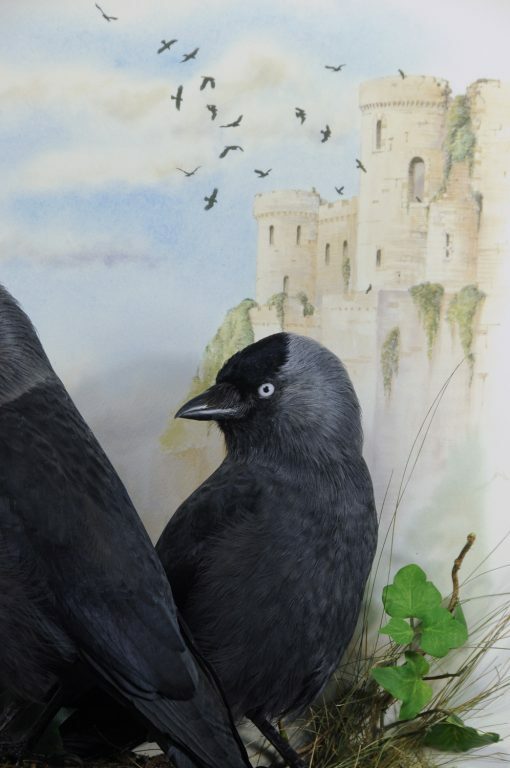 I mocked up a version of the background painting for the taxidermy project once I had mounted the birds. 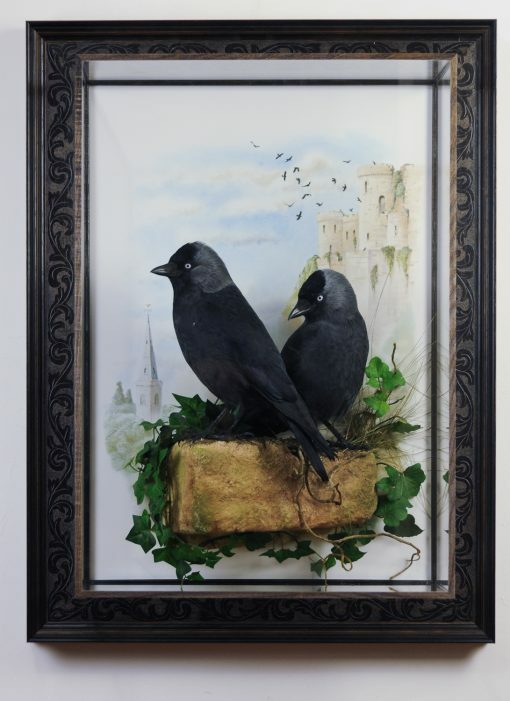 This I gave the Colin Woolf UK WaterColour Artist to convert my pathetic attempt into a nice professional version that was used for the case background, I am really pleased with the painting and think it complements the birds well, the case frame was a little bit more elaborate then the usual taxidermy glass display case but I quite like it.